Boiler: International Engine Works, Amherst, Nova Scotia. 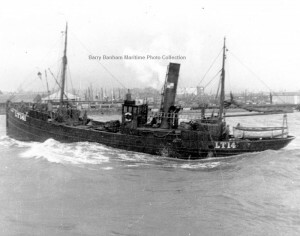 9.1921: Launched by Cochrane & Sons Ltd, Selby (Yd.No.762) for John McCann, Hull (Pickering & Haldane’s Steam Trawling Co Ltd, Hull) as BIOTA. 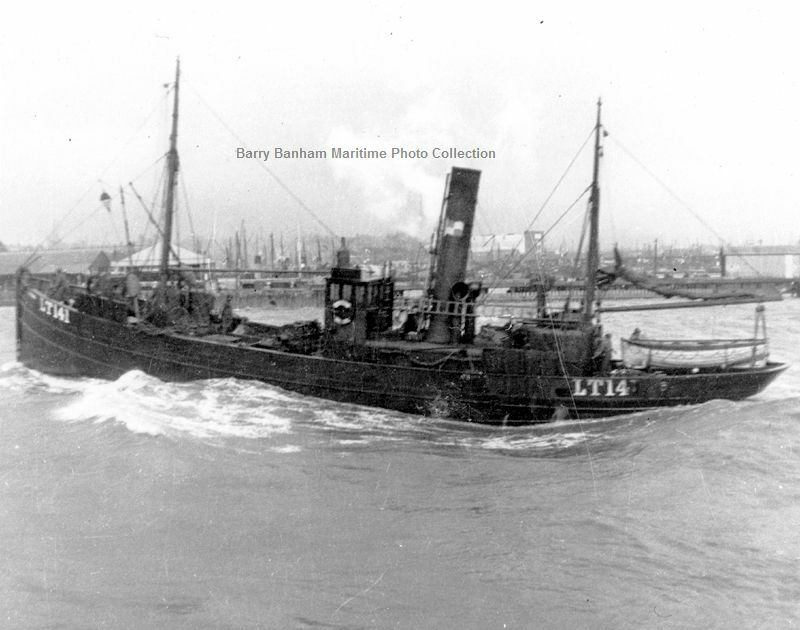 21.2.1922: Transferred to Pickering & Haldane’s Steam Trawling Co Ltd, Hull (John McCann & Edward Cartwright, managers). 21.2.1922: Registered at Hull (H425). 3.1925: Sold to Soc. Anon. Armement Ostendais, Ostend. 26.3.1925: Hull registry closed. Registered at Ostend as PAUL PASTUR (O234). 6.2.1936: Sold to Jubilee Fishing Co Ltd, Lowestoft (Alfred S. Ling, manager). 13.7.1936: Registered at Lowestoft as CICERO (LT141). 1937: Seasonal white fish trawling from Fleetwood (Lowestoft Fish Selling Co Ltd, Lowestoft, managing agents). 12.11.1941: Sold to Berrys (Stranraer) Ltd, Stranraer (James Berry, manager). 3.12.1941: Lowestoft registry closed “No longer used for fishing”. 15.8.1943: Requisitioned for war service with Ministry of Aircraft Production (Berrys (Stranraer) Ltd, managers) (Hire rate £25.0.0d/month). Post 1945: Returned to owner. 1.1948: Sold to BISCO and allocated to West of Scotland Shipbreaking Co Ltd, Troon for breaking up. 07/04/2012: Page published. 5 revisions since then. This entry was posted in Drifter/Trawler and tagged Drifter/Trawler, No Fleetwood owners on April 7, 2012 by Fred Smith.